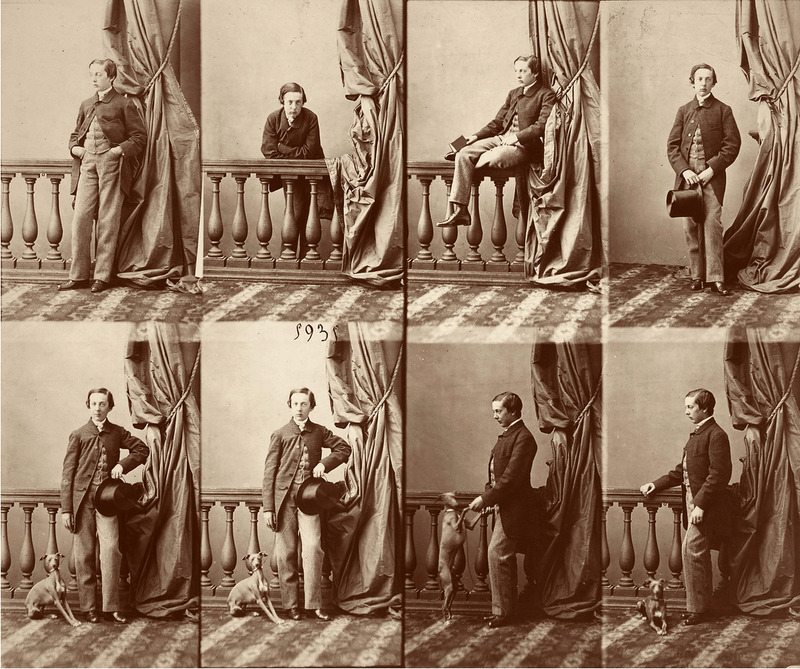 An article in the New York Times on February 26th, 2015 (see: http://nyti.ms/183ecQx) highlighted the photographic studio of André Adolphe-Eugène Disdéri in Paris with a photograph entitled “Kotchoubey,” 1857-58. The photo is part of a number of photographs prints of which are now at the Musee d’Orsay in Paris, France that compromise portraits of the attendees of the wedding of Nikolai Arkadievitch Kotchoubey (1827-1865) and his second wife princess Elena Sergeievna Volkonsky in Paris in 1858. The couple were accompanied by both the her parents and relatives and the groom’s father, brothers and relatives. 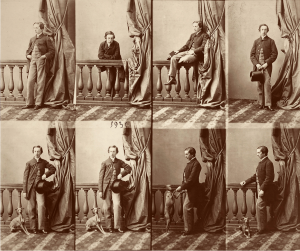 Many of the members of the entourage were photographed both for the October 1858 wedding and before that year in 1857 for a family christening and in the years following the wedding. The picture of the boy, if indeed it is a Kotchoubey is difficult to identify as the young man pictured would have been born in the late 1840s or at the latest 1850 and there are no records of any Kotchoubeys born in those years. Alternatively, the date may be incoorect or it is a relative from the bride and groom’s extensive family. …Uptown, Mr. Galassi’s show occupies two floors and delivers a similar combination of surprises and old standbys, but instead of slowing somewhat toward the end, it steadily intensifies. As Mr. Galassi makes clear in his wall texts and catalog, the photographer’s studio is less a subject unto subject itself than a setting lurking behind or around the photographs of personalities or bodies performing for the camera within it. The studio as an empty stage appears in André Adolphe-Eugène Disdéri’s uncut prints of a gentleman identified only as Kotchoubey from 1857-58.